So I’ve got a question for you: What’s up with all the retro eyewear, people? Have you also noticed the proliferation of heavy, plastic-framed glasses, circa the 1950s? Nerd is IN these days, both in real life and in the movies. Just ask Andrew Garfield, our newest Spider-Man/Peter Parker in this summer’s latest redux of Spider-Man, though it’s not really fair since we all know Peter Parker had bad eyesight before his obtained his Spidey-powers. Or maybe you should ask Russell Westbrook of the Oklahoma City Thunder what’s up with the Clark Kents he sports during post-game interviews. Russell’s “glasses” don’t even have LENSES in them. So the eyewear is obviously just a fashion thing. But the lensless frames have become his “signature accessory,” though LeBron might object to Russell taking all credit for the nerd look among NBA stars. If you ask me, there’s also no way anyone on the street would mistake an NBA superstar for a diminutive nerd, but it seems as if the geek-chic look is here to stay, even among premier professional athletes. If NBA superstars want in on a prime piece of geek-dom, then what hope do the rest of us have, particularly those who actually are nerds? So why is it that every other person I spot in most Seattle urban neighborhoods is sporting some sort of trendy retro eyewear? (And why do I want to be a cool kid too?) Since when did Nerd = Cool? Well, put simply, it’s because we are all trying to at least look smarter than we really are, particularly in a city like Seattle, which prides itself in consistently being labeled one of the smartest cities in the US. We all WANT to look nerdy and more studious because in today’s knowledge-based economy, NERDS RULE. It’s just that now we are seeing the revenge of the nerds in fashion to coincide with the worlds of tech and finance, where nerds, geeks, and quants already flourish. Just wait, updated pocket protectors and vintage slide rules will be the next new thing! I’m guessing there’s also another explanation as to why everyone wants to look like a nerd today, relative to say, the mid-1980s or the 1950s. Prior the tech boom of the late 1990s and 2000s, nerds had always been beaten down and bullied. And certainly nerds weren’t often considered cool or popular, as clearly depicted in the seminal highbrow movie, Revenge of the Nerds. And what better fashion accessory to complement our newly nerd-chic personas than cool retro eyewear cira the 1950s, thanks to Mad Men. Imagine looking retro-fashionable while simultaneously having your vision corrected! In fact, glasses make us so trendy and smart-looking that even the bona-fide Super Jocks are now also striving for the same wearable little piece of nerd aura! Glasses seem to be required these days, even if you don’t physically need them, particularly in a professional environment. And as a fashion accessory, eyewear has become as indispensible as say, a serious-looking briefcase or an HP financial calculator. Eyewear makes you look more serious and intellectual. I get it. What desk jockey doesn’t want to be taken more seriously or viewed as more intellectual? The popularization of the nerd look has gone as far as the criminal defense system, where defense lawyers have been known to offer thick framed glasses to their clients in order to make them look less intimidating. There’s even a name for it, the Nerd Defense. New York defense lawyer Harvey Slovis makes all his clients wear glasses. The glasses, Slovis said in an interview, make people appear less intimidating. According to a 2008 study, published in the American Journal of Forensic Psychology, researchers found that African American defendants wearing glasses were considered more intelligent, more honest and less threatening than those without. White defendants with glasses however, were not. Our eyewear has evolved from simply correcting our vision to exaggerating our sense of self worth and projecting a persona to help us appear either less threatening or more intellectual. For some, glasses have even become an indispensible part of facial identity, much like a personal brand. Perhaps we should start referring to our glasses as our Eye-dentity? Look at Larry King and Sally Jesse Raphael. Do you think their careers would have reached similar success without their iconic glasses? And while fashionistas view glasses as merely just another accessory rather than tools of utility, it also seems like all of our fancy retro-eyewear is starting to look the same again, just like it did in the 1950s. But whereas in the 1950s everyone’s glasses looked identical because of a dearth of choice, designers dictate our tastes today by narrowing our selections towards current trends. As a result, all our subconscious fashion choices in eyewear ends up a looking the same too, just like in the 1950s. Designer labels today are redoing old iconic glasses and charging a fortune for them. Oliver Peoples offers a collection of Gregory Peck frames (based on the specs his character Atticus Finch wore in the 1962 movie, To Kill a Mockingbird) that will set you back $340. In Michael Bastian’s 2012 Spring/Summer runway show at Fashion Week where he introduced his newest line inspired by James Dean, all the runway models wore retro-looking eyeglasses from the 50s. We have become so obsessed with trumpeting our own uniqueness that we’ve lost sight of the actual purpose of eyeglasses: helping us to see clearly. And those of us vulnerable to trends and fads all end up looking the same. Doesn’t that seem even more ironic in our current worship of individualism and uniqueness? Do we feel special by looking just like everyone else? So what’s to come in the post-hipster age? Will the bona fide nerds remain incognito in contact lenses while the cool kids and jocks boast about their bad eyesight, sporting fashionable spectacles? If this should be the case, then I hope and pray that the designers don’t run out of ideas and decide to revive the horrid eyewear of the 80s. I still shudder when I think about my glasses from that era. Fashionistas and purveyors of cool have to draw the line somewhere. Hi TW! Yes, we are old! I saw a hipster in SEA two years ago with the lensless frames and I was like… is it Halloween? Then I started seeing it all over town, and thought I was going crazy. But now it seems like the look is going more mainstream, and I find myself wanting a pair with Rx lenses, of course! Hahaha, I love that last photo! I have preferred (and will probably forever prefer) contacts to glasses. No matter how light or cool-looking glasses are, they feel awkward and burdensome to me – especially when I drive or go up and down stairs. I also hate the red spots/dents they leave on your nose. That said, I picked out a retro frame when it was offered for free as part of the vision insurance back in 2004 and still use it occasionally before bedtime. I never thought the silhouettes were cool back in our Hong Kong days. I never associated the retro frames with nerds, and always thought they looked cool and unique. 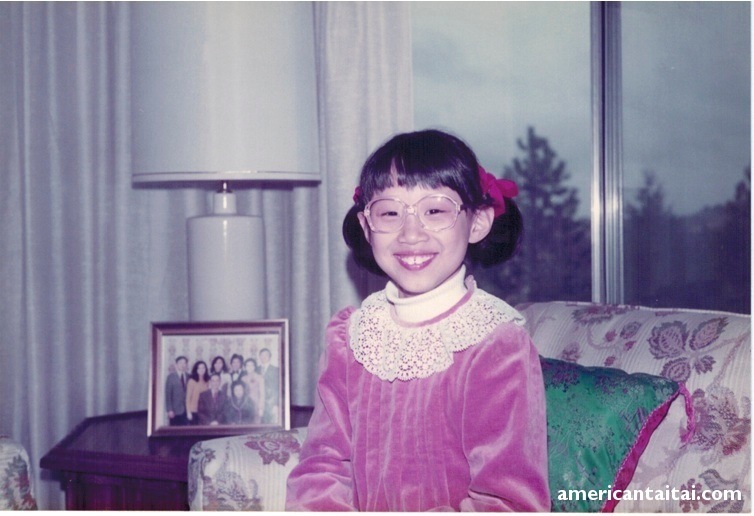 I think that my sister or all the Asian kids deserve the credit for starting the fashion of wearing lenseless frames. When she came to visit us in late 2009, I was fooled for a few days before realizing that her glasses were merely frame!! She had done that for years in Shanghai, and credited the Koreans. Hahahaha! Mr. TBP you are naturally trendy then, and your sister is in the know! Must run in the family! 🙂 Ah young people these days, and the fact that fashion trends in Asia come out of Korea doesn’t surprise me. YES, I still have my silhouettes, (I think Mrs. TBP had a pair too back in the HK days) but I never wore them b/c I found everything way too bright! I think I need frames, but I am old. I’m not looking fwd to the day when I need to get bifocals, but I am also too chicken to go and get Lasik. I admit, part of it is b/c I’ve always kind of liked wearing glasses. I remember that nerd style… At first I thought it was cool, but I always think those people want to look so unique and then they all do it and it becomes a uniform look. Yes, I totally agree w/you re: the big glasses! I want to tell those people that it’s 2012 and not 1983! Unfortunately, most of the kids I see wearing these glasses weren’t even born in 1983, which then makes me feel old and grumpy. Fashion is a funny and fickle thing. But knowing me, I’ll probably end up thinking huge glasses are cool next year when all the fashion gurus decide to bring them back. 😦 It was not a good look for me!! Oh well, one can always wear contact lenses and no one would be the wiser! 🙂 Thanks for stopping by! But it’s really interesting to see what the cool kids there are wearing. At first I thought some of the fashion trends I saw were ridiculous. But then I catch myself later thinking the trend is suddenly cool when I see it becoming more mainstream. And then I feel silly. I too am tempted to the dark side, horned-rimmed is in! 🙂 Who would have thought? I dunno. We all want to look pseudo intelligent? Anyway I have prescription glasses for the lst time in life…I am 54. Unlike some bespectacled siblings. I don’t mind looking slightly nerdy, but a full frame really looks heavy on me and doesn’t off “lightness” to my face with dark brows, etc. Thank you for your kind words! I’m glad that you found these observations interesting and that they make you want to read more. Thanks for stopping by! So far all the dudes that I’ve came across wearing these hipster glasses tend to rub me the wrong way. They all come off as douchy and think they’re better than everyone else and i just think those glasses look stupid on them. There is nothing cool about looking like a nerd and honestly this new trend is starting to annoy the crap out of me. It just goes to show that these people can’t make their own decisions in life and they think in order to be cool they have to do what’s mainstream.